Ashanti in a very daring gown. The two love birds..-Future and Ciara (in a Givenchy gown). Danity Kane kept the monochrome theme going. Lovely! Will Smith looking dapper as usual. Rocsi Diaz in a Pia Pauro mini print dress. I don’t know what’s going on here, but this is not not not!! lol! TLC’s Chilli and T-Boz in an all black errthang look. I know they say, “if you’ve a good body flaunt it” but this is just wrong! Erin Wasson why? Miley Cyrus in a Dolce & Gabbana ensemble. Did you see her performance? Isn’t she taking this youthful thang too far? Gosh! 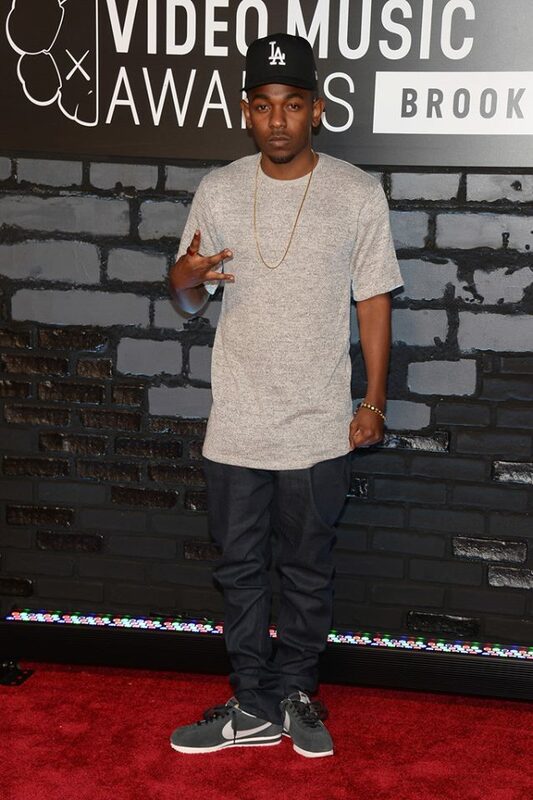 Mr “I’m the king of New York” himself Kendrick Lemar. Selena Gomez looking beautiful in an Atelier Versace gown. What a gown! Rita Ora in an Alexandre Vauthier gown. I like Jennifer Hudson’s Dior dress. Taylor Swift looking simple/beautiful (Herve Leger dress) before her dissing on stage. Katy Perry in an Emanuel Ungaro animal print, thigh split dress. Lady Gaga in an all black Prabal Gurung gown. 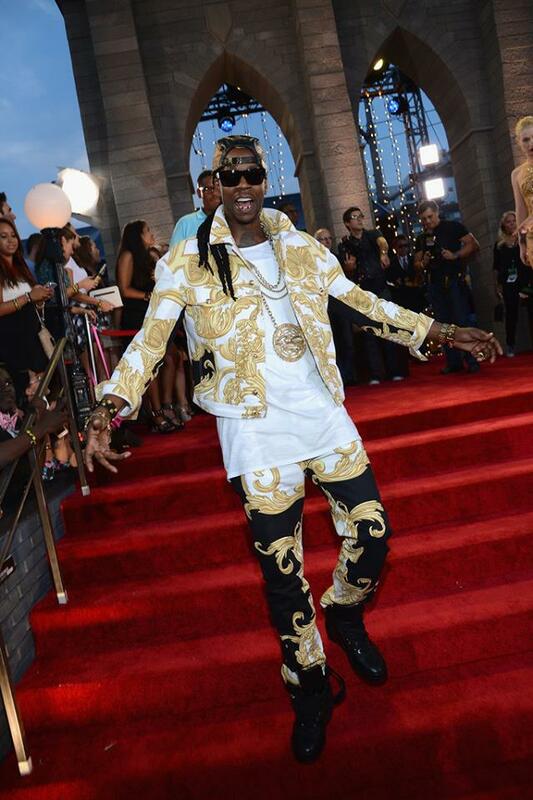 2 Chainz in Versace. Smh! 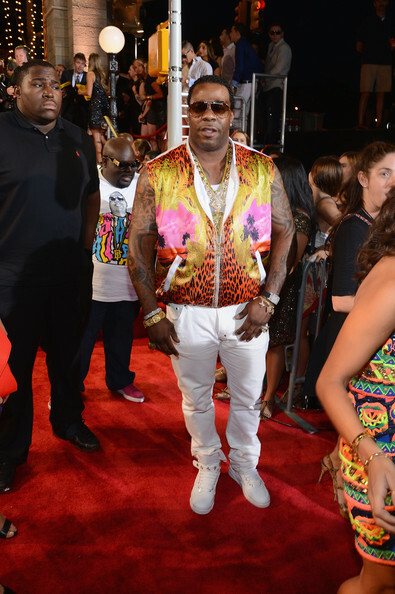 Busta Rhymes all beefed up. Iggy Azalea in Emilio Pucci. One of my fav couples in the house! Jordin Sparks and Jason Derulo…-looking nice, but sup with the skirt zip!? 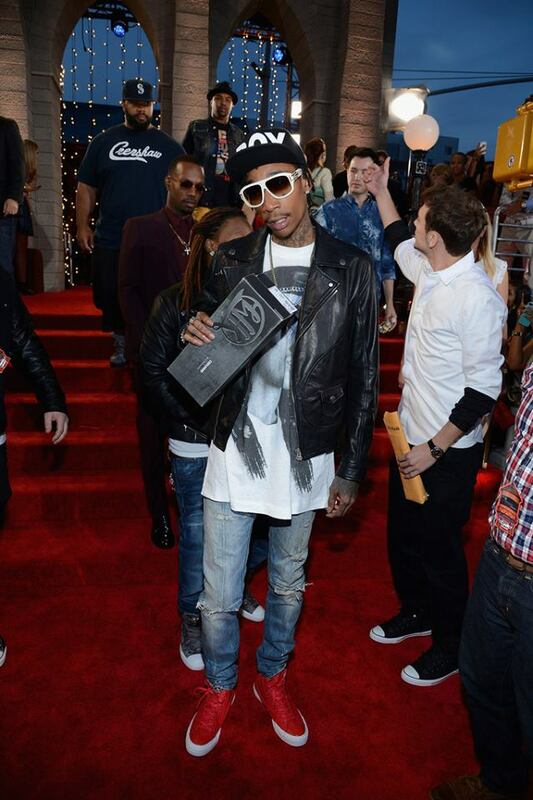 Who is your fav from the night?